On April 20, 2011 Redken 5th Avenue Guts 10 Volume Spray Mousse Foam has been recalled. This recall involves Redken Guts 10 Volume Spray Mousse Foam sold in a fill weight of 300g (10.58 oz) and 60g (2oz) size cans. The hair styling product was sold in a silver container with black writing. 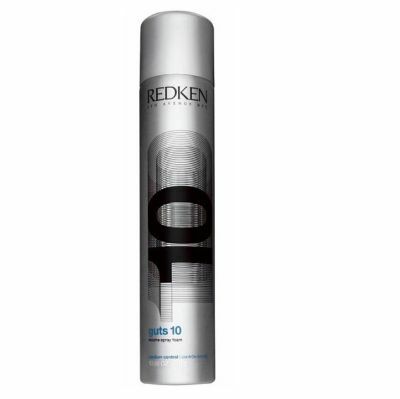 "Redken" and "10" are printed on the front of the product. Any can with the following lot codes: 32G10Y, 32G11Y, 32G20Y, 32G21Y, 32G23Y, 32G40Y, 32G41Y, 32G60Y, 32G61Y, 32G62Y, 32G70Y. The aerosol container's liner can corrode over time, posing a risk of the can rupturing and expelling its contents. In the United States, Redken has received 41 reports of cans rupturing. However, no injuries have been reported. At time of the recall neither L'Oréal Canada Inc.nor Health Canada has received any reports of incidents or injuries to Canadians related to the use of these spray mousse cans. You should immediately stop using the recalled product, record the product lot code, and contact Redken for instructions on receiving a full refund of the purchase price. You can discard the contents by spraying it into a waste container in a well ventilated area, or should dispose of the empty container as per municipal hazardous waste guidelines. If you want more information, you may contact Redken toll-free at 1-866-973-3536 between 9AM and 5PM ET Monday through Friday, or visit the company website. Approximately 179,758 units of the recalled Redken Guts 10 Volume Spray Mousse Foam cans were sold at various hair salons and beauty supply stores across Canada. The recalled Redken Guts 10 Volume Spray Mousse Foam cans were sold September 2001 to April 2011. This product was manufactured in the United States. The manufacturer is Redken 5th Avenue NYC of New York, New York. The distributor is L'Oréal Canada Inc. of Montreal, Quebec. Are you an African North American woman?